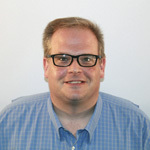 Andrew Markel is the editor for Brake & Front End Magazine and has been on the staff at Babcox Media for 13 years. He is a former technician, service writer and service manager with experience at independent shops and dealerships. Andrew is also an ASE certified automotive technician. Andrew has spoken at industry events such as the SAE Brake Colloquium and FMSI Annual Conference. He has also been quoted in publications like Smart Money and Crain’s Business. He is active in motorsports and owns several vintage vehicles. No one can predict when a brake line or hose will fail. This is why inspecting brake lines should be part of every vehicle inspection. Also, spotting and replacing a corroded line before it bursts can save the driver not only from an accident but also damage to the master cylinder and ABS modulator. OE brake lines are made from metal that is rolled and welded into tubing. To seal the tubing, molten copper alloy is poured into the line. On the outside, a coating or plating material is applied. In some cases, a plastic coating or paint is applied to increase corrosion and abrasion resistance. Moisture and the depletion of the corrosion inhibitors in the fluid are the main sources of fluid breakdown. Corrosion causes the copper to be leeched from the tubing and deposited in the brake fluid. While it is rare for a brake line to fail completely from this type corrosion, it can lower the integrity of the metal shell over time. The main killer of brake lines is abrasion. When the external coating is removed by road debris or rubbing on other components, the line will soon develop corrosion. The corrosion will spread and get under the coating. Soon, the integrity of the line will be compromised. This corrosion is hastened by road salt and deicers that become alkaline from reacting with the tubing. Some automakers have changed the way they route and protect brake lines. It is not uncommon to see plastic covers over brake lines. Also, some manufacturers will minimize exposure of the lines by routing them in the wheel wells. Materials are not changing. Steel is still the material of choice for OEMs. What has improved are the coatings used on brake lines, which are tougher against abrasion. Stainless steel is being used on some high-end vehicles, but it is very expensive. 1. Always pay attention to the position of the line that is exposed to road splash. This is the area of the line that will fail first due to abrasion. 2. Flaking or lifting of the outside coating is the first clue corrosion has set in. This is a clear sign the external coating has been breached and corrosion is starting on the lines. 3. Look at the lines that pass above the fuel tank. This area can become very corroded from the buildup of deicing brines and road salt that can’t be washed away. A rainstorm in July, for instance, could activate the compounds and cause winter corrosion in the middle of summer. A boroscope can help to inspect the lines in this area. 4. Document the condition of the lines. Taking pictures and making notes on the repair order can save you a trip to court. A few years ago, a manslaughter case was made against a mechanic because he did not tell the customer about corroded lines during a state inspection. Three months after the inspection, a leaking line caused a serious accident. 5. Inspect brackets and hold-downs. 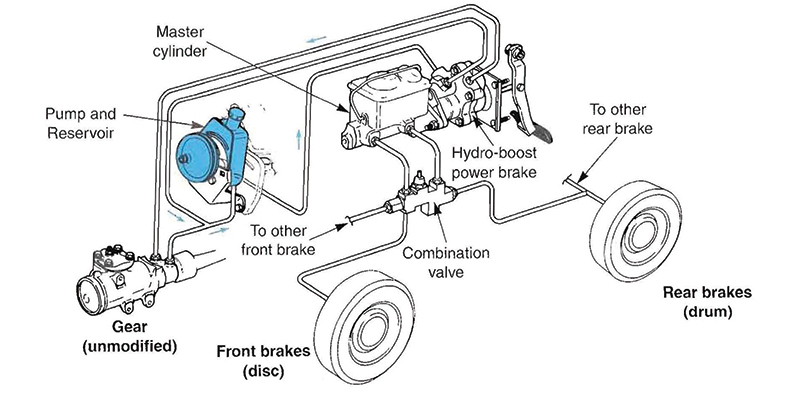 When a brake line is free to move, it can rub up against another line. As the vehicle shakes and vibrates, outer coating can be rubbed away. How Much is Too Much Rust? Any sign of corrosion on a brake line is reason enough to bring it to the customer’s attention and recommend replacement, even if it is not leaking. If the customer refuses the repair, document it in the customer’s file. Don’t take chances.